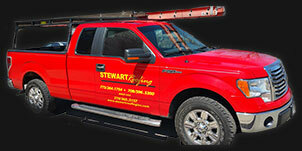 Family-owned and operated, Stewart Roofing Company has been in the business since 1927. In over 90 years of service, we’ve had the honor to serve thousands of satisfied customers. We have the experience and know-how to get the job done right the first time, earning us the reputation as the very best roofing and siding contractor in the Chicago area! Your roof, whether it’s your home or commercial property, should offer shelter, protection, and peace of mind. Choose Stewart Roofing Company and rest easy knowing you’ll have expert care.